Chicken with spicy seasoned roasted rhubarb is honestly just very good. This dish is super easy, full of so many spring flavors, textures and heartiness. 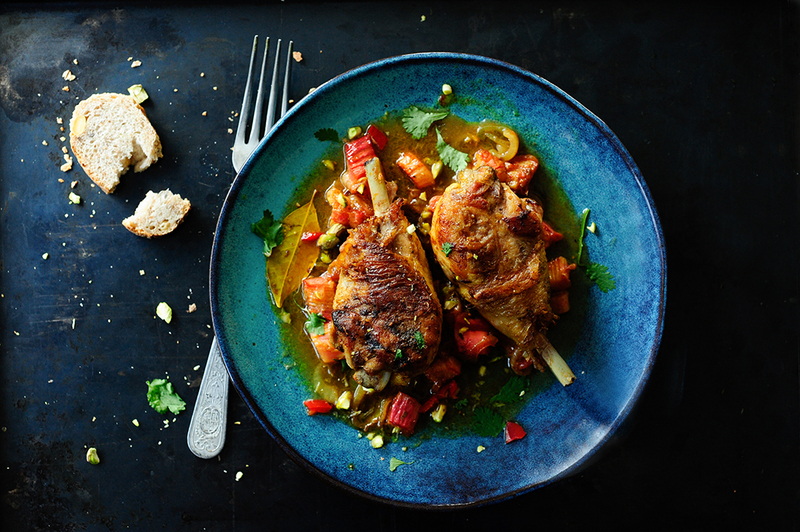 I love paring fruits with savory food, this combination with slightly spicy chicken is delicious, the rhubarb makes this dish complete. So, who says that rhubarb goes only with desserts, it fits with almost everything. Heat the oil and the butter in a skillet. Fry the drumsticks for 10 minutes on each side, season with salt and pepper. Peel onions and garlic, cut into thin slices. Wash the rhubarb and cut into cubes. Place the drumsticks on a baking sheet. Put the onions, garlic and rhubarb into the skillet, add all spices and sugar. Stir the tomato concentrate with the hot water and add to the rhubarb. 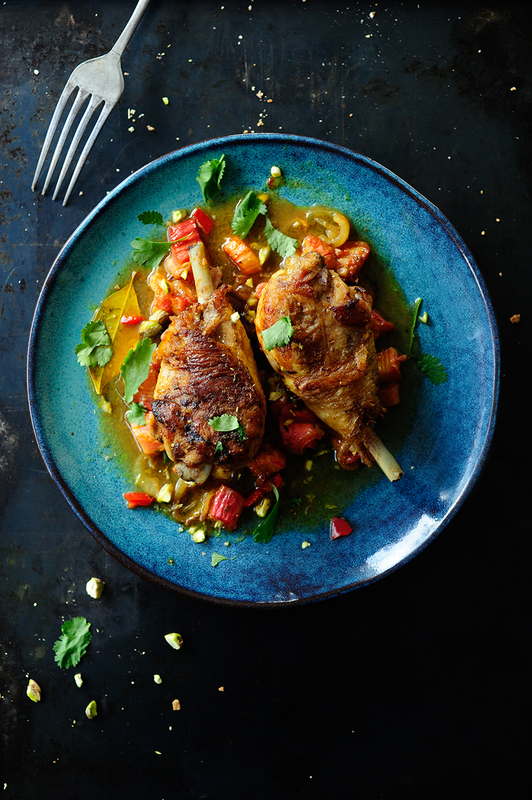 Simmer for 5 minutes, then pour the rhubarb sauce over the chicken and sprinkle with chopped chili and pistachios. Transfer to the oven and bake for 60 minutes at 180°C. Serve with bread, sprinkled with chopped cilantro. Enjoy!